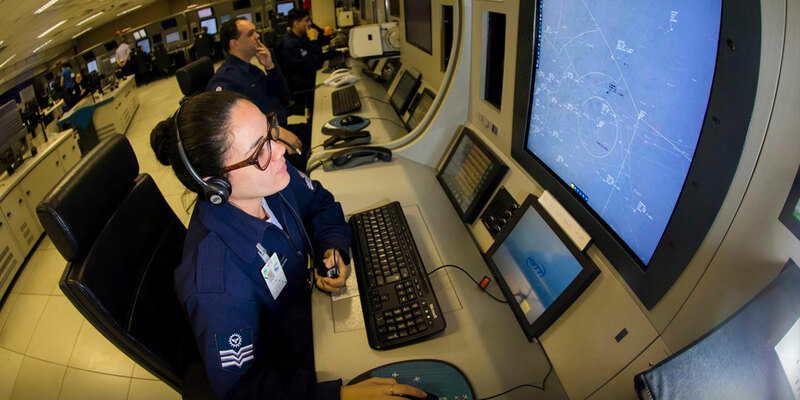 The Brazilian air force’s department of air space control is involved in a massive redesign of Brazil’s airspace and instrument flight routing system. To keep the capacity of instrument flight routes at least 10 percent above projected demand for the next decade, the Brazilian Air Force’s Department of Air Space Control (DECEA) is overhauling the São Paulo terminal area, the country’s busiest. The TMA-SP Neo project is replanning the terminal’s IFR routes “from zero,” including the participation of air traffic controllers, pilots, airlines, and specifically the inclusion of business and general aviation. The project is currently in the diagnosis and planning stage, hearing users’ concerns, and identifying possible areas of improvement, with the goal of implanting the new TMA in 2020. Demand estimates are based on the Ministry of Transportation, Ports and Civil Aviation’s 104-page Forecast of Civil Aviation Demand 2017-2037, which includes conservative and optimistic projections for passengers in 2037 (400 million and 700 million, respectively) and on DECEA’s own studies. Projections also include freight and point to faster growth in regional aviation. Besides increasing the terminal’s capacity, the new routes are intended to reduce capacity-related delays and the workload of ATCOs and pilots by simplifying the terminal’s complexity while maintaining operational safety. The Air Force notes that more efficient IFR routes will benefit all segments of aviation, the efficiency translating into time and fuel savings, with corresponding reductions in carbon emissions. Once the routes are designed, the next step is validation, first with an accelerated simulation, and then a real-time simulation, the latter with procedures designed by ICA (the Air Force’s cartography department) and checked by the Special Air Inspection Group, GEIV. In 2016 GEIV began switching from Embraer turboprops to the Legacy 500 for its flying laboratories, which are equipped to inspect ADS-C, ADS-B, CPDLC, GBAS, and IFR RNP-AR procedures. Besides the Legacys, GEIV is experimenting with adding drones to its inspection fleet. The agency will address drones' minimal payload ability by separating sensors from analysis. Initially, the drones will be used to help inspect visual approach aids such as approach lights, glidepath indicators, and others, which requires only a photographic camera. Field tests have already been conducted. Later, the plan is to add electromagnetic antennas, which can either record data for later download and analysis or transmit data for real-time analysis. As with any technology that pushes developments into new territory, the specifications are still being determined. In March, experts from the FAA, Stanford University, GBAS manufacturer Honeywell, and Boeing met at DECEA headquarters in Rio with researchers from the Air Force's Air Space Control Institute and the National Institute of Space Studies as part of the ionosphere research Technical Cooperation Project. The ionosphere exhibits unusual behavior in the low latitudes around the equator, with what’s called the Equatorial Irregularity, or plasma bubbles. Because most such systems are installed at higher latitudes, such as those of the U.S., the Brazilian experiment offers a pioneering opportunity. A Honeywell SLS-4000 SmartPath GBAS was installed at Galeão airport in Rio de Janeiro in July 2001, the first such equipment in Brazil, with the intent of studying how it was affected by the peak solar cycle. Since then GEIV’s laboratory aircraft have conducted tests. The goal is to collect and analyze data and have the GBAS operating for navigation by 2021. “The impact of the ionosphere on embedded GNSS [global navigation satellite systems] is a matter of great relevance, especially in low latitude regions," according to engineering captain Leonardo Marini Pereira.